Kenyan Premier League (KPL) champions Gor Mahia started the Cecafa Club Championships on a high note on Saturday by stunning hosts Yanga 2-1 at the National Stadium in Dar es salaam, Tanzania. The current KPL leaders, however, had to come from a goal down as Dirkir Glay deflected Donald Ngoma’s shot into his own net with the advancing goalkeeper Boniface Olouch well beaten. Innocent Wafula then squandered a chance to put Gor Mahia level shooting wide after a pass from Michael Olunga in the 20th minute. Cecafa championships Michael Olunga (R) of Gor Mahia FC tackles Mbuyu Twite of Yanga FC during their CECAFA-Kagame club tournament match at the National Main Stadium in Dar-es-Salaam on July 18, 2015. Photo/Stafford Ondego/www.pic-centre.com/CECAFA. 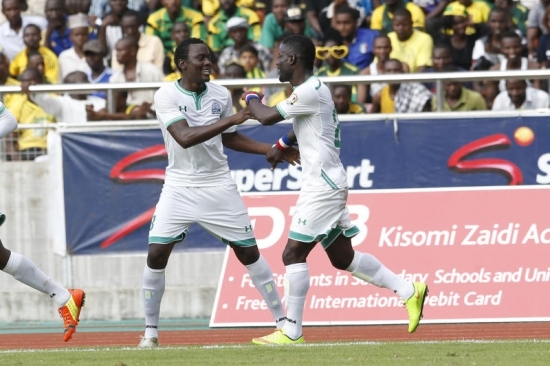 (TANZANIA) Chants of Gor Biro, Gor Biro mainly from Simba fans (Yanga’s fierce rivals) vibrated the stadium in the 23rd minute when defender Harun Shakava headed home Abouba Sibomana’s free kick. Yanga were reduced to 10 men in the 26th minute after scorer Ngoma was given his second yellow by Ugandan referee Ssali Mashood for pushing over captain Musa Mohammed after a foul by the Gor Mahia defender. Another chance for Gor Mahia came in the 33rd minute with Olunga the main culprit after shooting wide. Gor Mahia were denied what seemed to have been an obvious penalty after Olunga was brought down in the box by captain Kevin Yondani but referee Mashood stuck to his guns. Olunga continued to cause more havoc when his 43rd minute shot came off the upright as Gor Mahia enjoyed the one man advantage. See Also: GOR MAHIA’S WEIGHT OF EXPECTATION: KPL champions eye elusive Cecafa title as regional tourney starts in Tanzania today Yanga fans were stunned after the breather when Olunga picked a loose ball and dribbled before beating goalkeeper Ally Mustafa, one minute after the break. Gor’s Godfrey Walusimbi was yellow carded for a foul play on Juma Abdul in the 62nd minute. With 20 minutes of play, Yanga’s midfield seemed dead with coach Voa Pluijm resting Simon Msuva for Kpah Sherman while Deus Kaseke went out for Salem Telela. Gor keeper Oluoch was the hero of the day after he saved Yondani’s penalty after Shakava was adjudged to have handled in the box in the 73rd minute. Yondani went for the cheeky Panenka chip was his effort was too tame and allowed Olouch to pick himself up and make the save. Coach Pluijim said they played well but their opponents were technically superior.”We had a redcard and lost a penalty, which was not good at all,” he said. Coach Nuttal praised his boys for playing like wounded Lions. “Gor Mahia is unbeaten at home and today’s victory clearly showed that I still have a job to accomplish,” said Nuttal, adding that playing against 10 men was an added advantage. 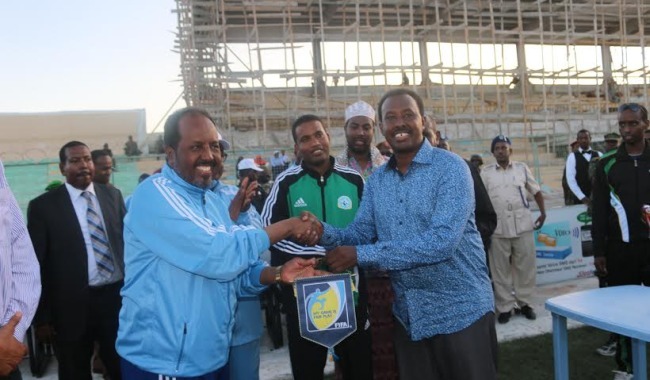 In an earlier match, Rwanda’s giants APR started the championship with a 1-0 win over Al Shandy of Sudan. APR started the match strongly dominating the opening minutes with experienced Fiston Nkinzingabo and Patrick Simbomana’s combination putting more pressure on Al Shandy defence. However, the Sudanese relaxed after 30 minutes of play with Halal Alpeenand and Tong Atak keeping custodian Claude Ndoli on toes with powerful, but off target shots. Yaasir Mohammed will have himself to blame for not giving All Shandy an opener in the 42nd minute after he beat the defence and sprinted past goalkeeper Ndoli only to see his goal-bound goal miss the target as both sides remained deadlocked at the breather. 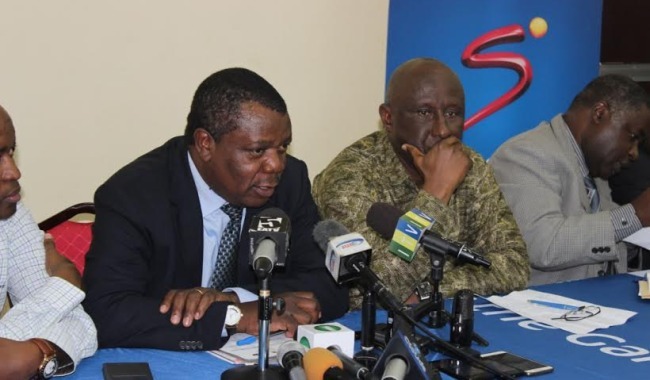 See Also: GOR MAHIA’S WEIGHT OF EXPECTATION: KPL champions eye elusive Cecafa title as regional tourney starts in Tanzania today Immediately after the resumption of the second half, All Shandy coach Walid Ali injected new blood by bringing in Muhaid Khalid and Eid Mugadam for Mohammed Musa and Yaasir Muzamil. APR’s tactician Susan Dule benched off-form Mubumbyi Barnabe and Patrick Simbomana for Issa Bigirimana and Andrew Buteera as the match progressed. Bizimana Djihad was in no moods for mistakes when he had the opportunity after he unleashed a powerful shot right into the net to beat the diving goalkeeper Abdelrahman Mukhtar in the 63rd minute. The Sudanese had last minutes scoring chances but could not transform them to goals.